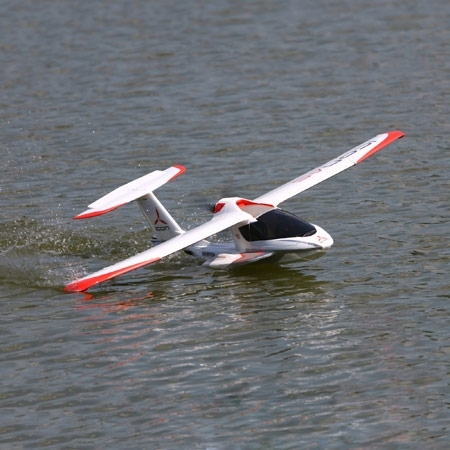 The amphibious ICON A5 is one of the hottest new aircraft in general aviation. Its distinctive blend of advanced composite construction and luxury sports car amenities has earned it numerous awards for innovative design, both inside and outside the aviation world. 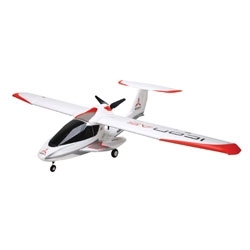 Now you can experience the fun of flying an ICON A5 with this officially licensed ParkZone® replica that's been designed in cooperation with ICON Aircraft. Along with a near-perfect scale outline and realistic trim scheme, it features a special hull design that makes water takeoffs and landings remarkably easy to master. Add the optional light set (sold separately), and you will really have a one-of-a-kind park flyer that will grab attention wherever you fly it. Copyright © University Dive and Hobby Center.